For the first time in its nearly 50-year history, SPARTACUS, one of the best-known brands for the international LGBT travel community, has awarded the SPARTACUS Travel Award. For the first time in its nearly 50-year history, SPARTACUS, one of the best-known brands for the international LGBT travel community, has awarded the SPARTACUS Travel Award. The prize is awarded to other destinations, hotels, airlines and people who, in recent years, have paid particular attention to LGBTQ travelers (lesbians, gays, bisexuals, transgender and queers) and have rendered outstanding service to them. The ceremony took place on the 8th of March in the Berlin TWO by Axel Hotel within the framework of the international tourism fair ITB. The award winners include the Dutch airline KLM as well as the Spanish Axel Hotel Group and Italy as a trend destination in 2018. 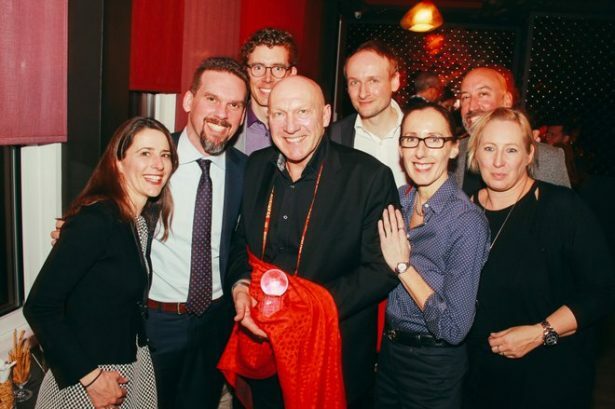 The prizes were received from Air France / KLM Leisure Sales Manager Hans Gesk, President of Axel Hotels, Juan P. Julia Blanch and Antonella Rossi from the Italian National Tourist Board and Francesco Leone as representative of the Italian Embassy in Berlin. George Neary, vice president of cultural tourism at the Greater Miami Convention & Visitors Bureau, has been honored for his longtime commitment to LGBT tourism in Miami. The Best Care category went to Homo Naturalis, represented by Kai-Benjamin Hagemann. As the oldest airline in the world flying under its name, KLM knows how to combine tradition and modernity and offers its guests typical Dutch hospitality and efficient service. As one of the few airlines, KLM has been committed to the LGBTIQ * community in many ways for many years. In addition to targeted marketing campaigns, these include above all support for local AIDS aids – for example in Cologne, Frankfurt and Wiesbaden, presence at CSDs in Cologne, Stuttgart, Frankfurt and Berlin as well as at events such as Mister Gay Germany or the Austrian Pink Lake Festival. For the outstanding combination of product and commitment KLM is therefore honored with the SPARTACUS Travel Award in the category “Best Airline” 2018. As the first hotel chain dedicated to the LGBTIQ * community, the Axel Hotels are the leading brand in the industry. The inauguration of the first Axel Hotel in Barcelona in 2003 marked the beginning of a project that has been growing steadily ever since, with the opening of the Axel Hotel Berlin 2009, the AxelBeach Maspalomas on Gran Canaria 2013, the TWO Hotel Barcelona 2015 and the Recent openings 2017 in Berlin (TWO Hotel), Ibiza (AxelBeach) and Madrid (Axel Hotel). For 2018, a new house in Miami Beach is also planned. Juan P. Juliá Blanch, President of Axel Hotels, dreamed for many years of creating a hotel chain for the LGBTIQ * community, his community. A space of design and cosmopolitanism, in which the gay scene, diversity and respect are highly valued. In short, hotels with a “hetero-friendly” philosophy, which we want to honor with the SPARTACUS Travel Award 2018 in the category “Best Hotel”. Since the beginning of the 20th century, Italy has been considered a holiday destination for the LGBTIQ * community in places like Florence, Capri or Taormina in Sicily. Today, Milan, Rome, Torre del Lago and Gallipoli in Puglia are more popular hot spots scene. Together with its tourism partners, the Italian Tourism Board ENIT, under its Executive Director Giovanni Bastianelli, is intensifying its efforts to expand Italy’s welcoming culture, to promote inclusion and the brand image as a land of tolerance, respect, progress and openness to strengthen towards all people. One sign of this is the membership in the International Gay and Lesbian Travel Association IGLTA, which has been in existence since 2017. We are therefore pleased to reward Italy with the SPARTACUS Travel Award in the category “Trend Destination 2018”. For over 25 years, George Neary has been a prominent member of Miami’s LGBTIQ * community and for many years has been advocating for Miami as an Associate Vice President / Cultural Tourism & LGBT for the Greater Miami Convention & Visitors Bureau as one of the international LGBTIQ * community Promote the destination. Neary is a founding member of the Miami Gay & Lesbian Chamber and the Mayor of Miami Beach LGBT Committee, which advises the mayor and city council on current LGBTIQ * community issues. In addition, he is a board member of the Miami Beach Pride and volunteers engaged in numerous other clubs. Miami Beach Mayor and Councilor recently announced December 13th as George Neary Day, and received the 2017 “The Tourism Professional of the Year” award from the Miami Academy of Travel & Tourism. For his decades of passionate commitment to LGBTIQ * tourism, we honor him with the SPARTACUS Travel Award in the Liefetime Achievement category.